Ships tomorrow if you order in the next 18 hours 23 minutes. 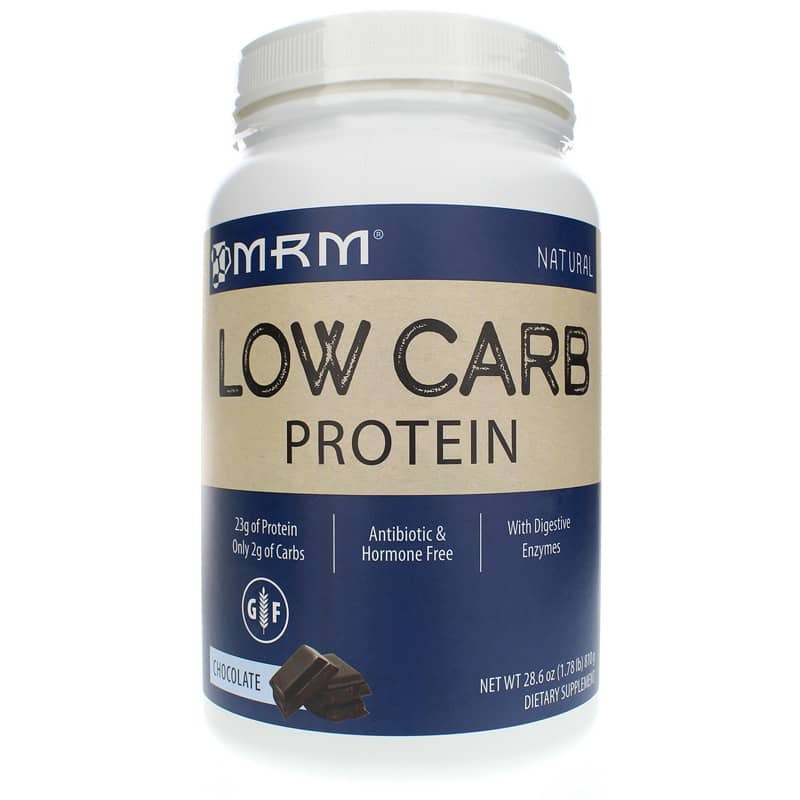 Chocolate Low Carb Protein i from MRM is a unique blend that combines fast and slow proteins for sustained muscle support. Low Carb Protein contains Whey Protein Concentrate with crossflow microfiltered whey protein isolate. 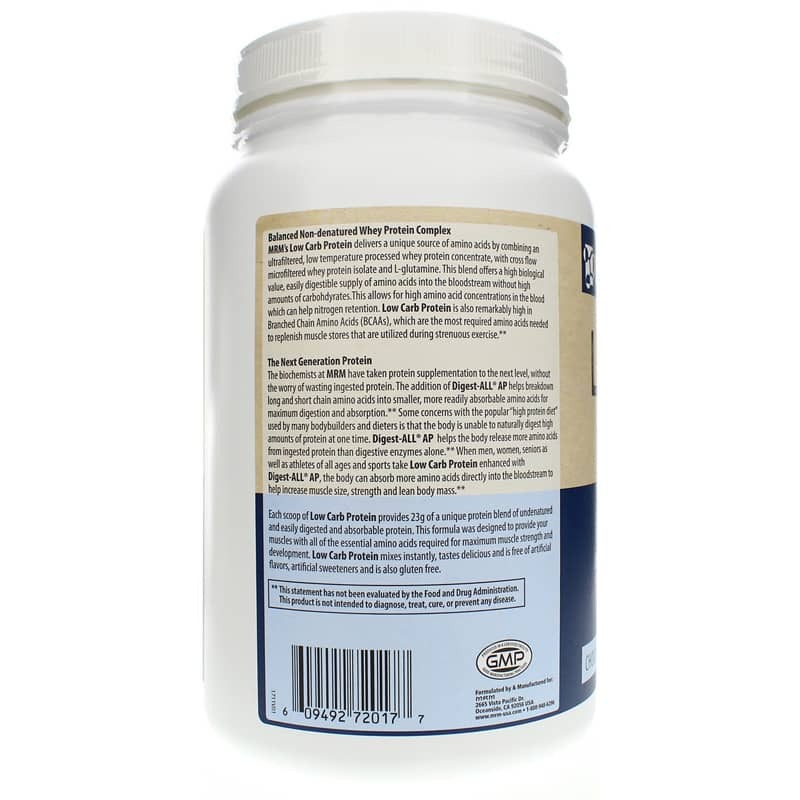 Crossflow Microfiltered protein, meaning the amino acids enter the bloodstream at a slower rate for amino acids to stay in the bloodstream for longer periods of time, increasing nitrogen retention. Nitrogen balance is important to muscles, especially for individuals who work out. If nitrogen intake is greater than nitrogen output, recovery from a workout is faster. Low Carb Protein is high in Branched Chain Amino Acids (BCAAs), which are the most required amino acids needed to replenish muscle stores that are utilized during strenuous exercise. The addition of Digest-All vegan enzyme blend in Low Carb Protein helps break down long and short chain amino acids so the body can absorb more free amino acids directly into the muscles to help increase muscle size, strength and lean body mass. Each scoop of Low Carb Protein provides 23g of a unique protein blend of un-denatured, easily digested and absorbable protein and is aspartame-free. Ingredients: NAT-PRO OPTIMIZER (Ultra-Filtered, Low Temperature Processed Whey Protein Concentrate (Milk), Crossflow Microfiltered Whey Protein Isolate (Milk), L-Glutamine, Sunflower Lecithin and Digestall AP (Protease 6.0, Protease 4.5, Peptidase And Bromelain), Cocoa, Natural Chocolate Flavor, Stevia Leaf Extract, Gum Blend (Conjac Gum, Guar Gum, and Tara Gum), Pure Ocean Sea Salt and Monk Fruit Extract. Contains NO: added egg, soy, peanut, tree nut, fish, shellfish, wheat, gluten, or yeast ingredients. 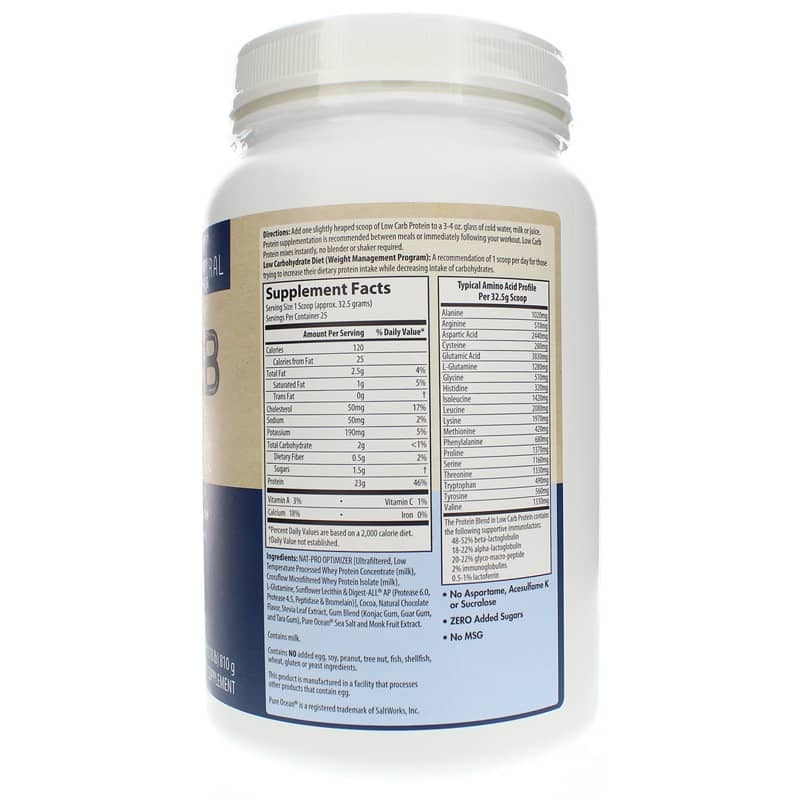 NO aspartame, acesulfame K, sucralose, MSG or added sugars. Adults: Add one slightly heaped scoop of Low Carb Protein to 3 to 4 ounce glass of water, milk, or juice. Protein supplementation is recommended between meals and/or immediately following your workout. Low Carb Protein mixes instantly, no blender or shaker required.